Email is comparatively more preferred customer channel and is very effective in lead nourishment and other sales activities. Emails can provide you with more qualified leads than any other channels as qualified leads up to 50 percent higher rate and 20 percent of income can be directly achieved through email strategies. A Customer Relationship Management (CRM) tool gathers massive information about customer contacts through email, call, social media, chat and in-person channels. Moving alternatively between the CRM and email client is time-consuming and can reduce efficiency. Like sales and marketing, CRM and email marketing systems can offer even greater benefits when their competencies are integrated into a combined effort.Thus integrating CRM with email will be beneficial in several ways. Following are some benefits of CRM solutions with email integration. Instead of moving alternatively between a CRM solution and email client, CRM systems with email integration provide all suitable information onto a single screen. Ther will be no confusion between leads as CRM provides all the appropriate customer data needed to effectively nourish the lead or close the deal. Many CRM solutions with email integration provide visual reports for email threads, available in the sales pipeline, so you can easily track the stage of each lead. 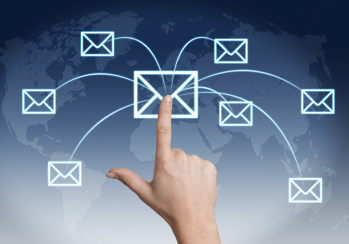 Email integration also helps to reduce response time as the contact information, connected history, and another important customer information is displayed next to the email. You can instantly respond to the inquiries and provide better customer relations instead of attributing the customer information in some other application and switching to email. Sometimes When many competitive options are available to the lead, converting that lead to a closed and won account relies on the who responds the quickest. Your sales team have a real-time awareness of customer behavior. They can visualize which prospects may have opened emails as well as referred to the data included in the email. When the sales calls are made after going through all these details, it allows your sales representatives to adapt calls to prospects' area of interests. You can create content on the basis of your CRM data such as person name, job title, census or past purchases to deliver your customers with suitable and targeted content. As a result, there will be more personalized emails and fewer denials. When important actions need to be done, you can use CRM workflows to trigger automated emails to send timely messages. You can send single or a series of email messages automatically triggered by CRM web visits, new registrations, email campaign responses, date rules or by any other events using the data stored in CRM. You can even schedule emails for the timely response.